The dealers who were caught with 100 pounds of fentanyl were sentenced last month after one of the biggest drug busts in the entire state. Jesus Carrillo-Pineda, 31, from Philadelphia, was sentenced last Friday to 10 years in prison on charges of possession of heroin and fentanyl with intent to distribute. Daniel Vasquez, 28, from Somerton, Arizona, was sentenced Friday to six years in prison for a similar charge. The pair pleaded guilty in December after their arrest in June 2017. After getting a tip, police arrested the men in a North Bergen parking lot after observing the fentanyl being moved from a tractor trailer with Vasquez inside to the trunk of Carrillo-Pineda’s Mercedes. The 45 kilos of fentanyl held more than 18 million murderous doses of the synthetic drug. “The 100 pounds of fentanyl trafficked into our state by these drug dealers could have generated enough lethal doses to kill the entire populations of New Jersey and New York City combined,” New Jersey Attorney General Gurbir Grewal said in a statement. Fentanyl is 50 to 100 times more potent than morphine, and 30 to 50 times more potent than heroin. A dose as small as a quarter of a milligram can be fatal, opposed to a 200-500 mg dose of heroin. When fentanyl is mixed with other drugs or made into fake painkillers, it becomes a game of Russian roulette with every consumption. The chances growing higher with every use. Of the 64,000 overdose deaths in 2016, over 20,000 were attributed to synthetic opioids, including fentanyl. 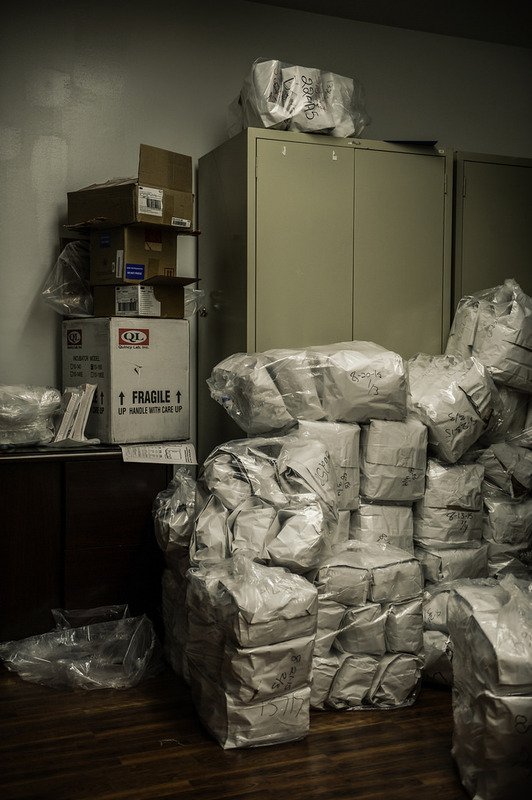 “The 45 kilos of fentanyl seized last year in this investigation brought home the scope of the problem we face in New Jersey with this highly lethal opioid,” Elie Honig, director of the New Jersey Division of Criminal Justice, said in a statement. “Three years ago, fentanyl was found in only about 2 percent of the heroin tested by the State Police; by late last year, it was found in nearly one-third of the heroin tested,” Honig said. The Centers for Disease Control and Prevention says two-thirds of overdose deaths include an opioid, and on average 115 people die per day. Attorney General Jeff Sessions has recently announced the new federal task force that will start in on online drug dealing. He said the joint criminal darknet enforcement team would then double the FBI’s investment into inspecting online opioid dealing.